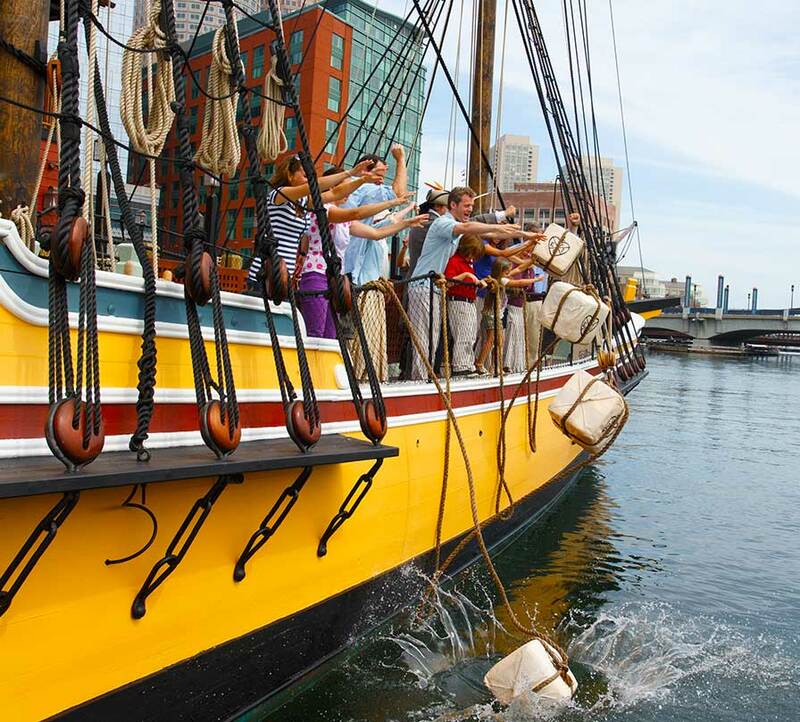 Boston Tea Party Ships & Museum is one of the top rated museum’s in the City of Boston! 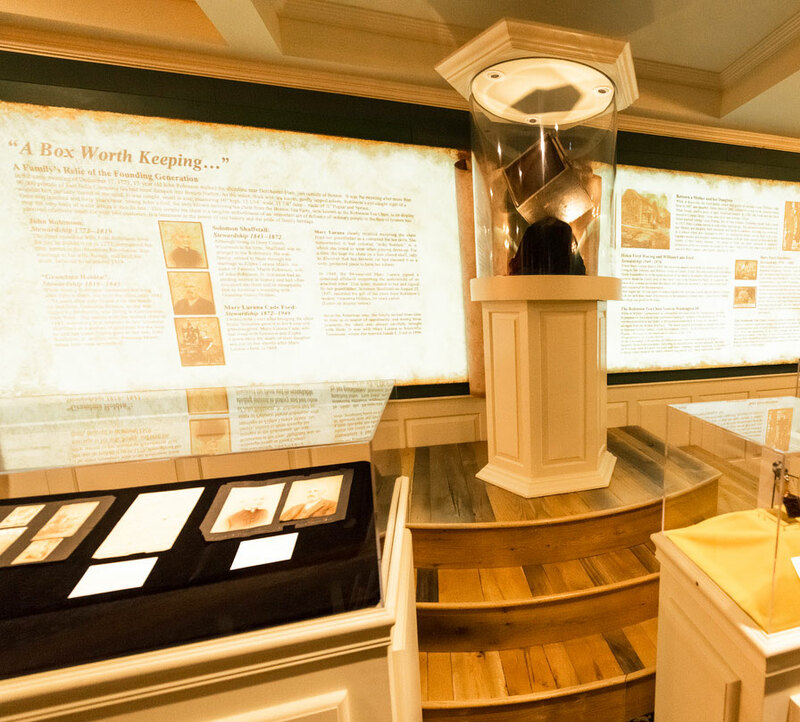 Check out our museum experience page to learn more. Enjoy tea & pastries upstairs as you overlook visitors tossing tea crates from the ships. Boston Attractions you won't want to miss! 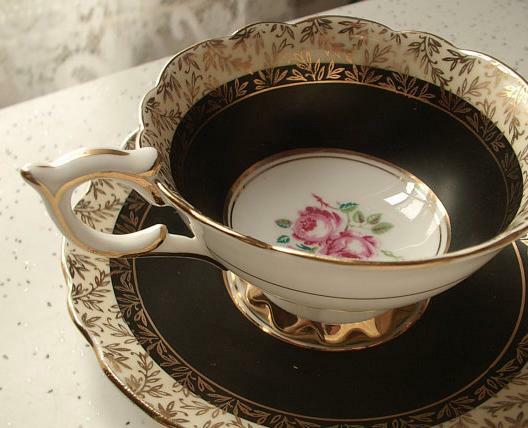 Shop unique teas, tea sets and other memorabilia from the museum. 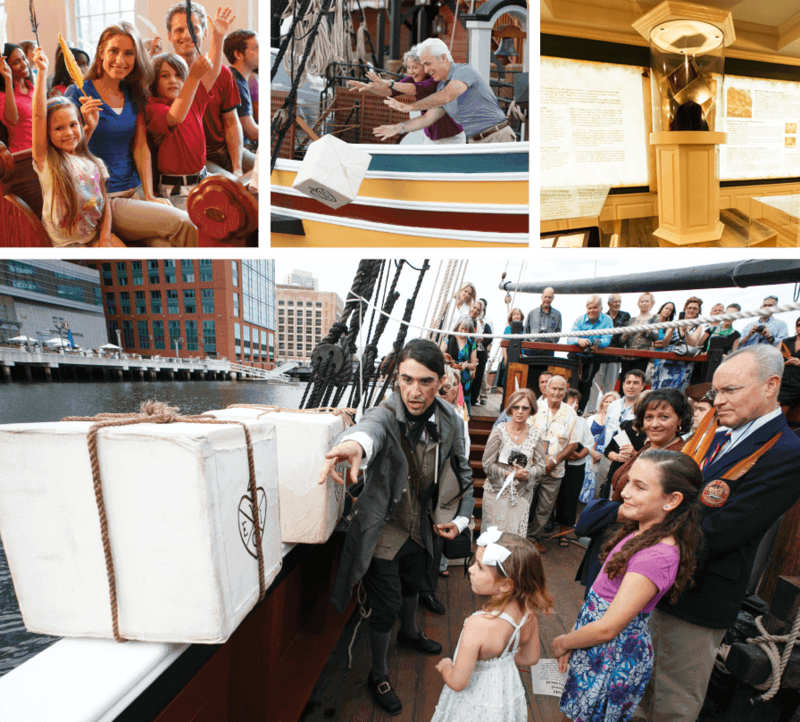 Package includes admission to Boston Tea Party Ships & Museum*, 1-Day Trolley Pass & more. Find out more about these American patriots. Relive the event that started a Revolution! At the Boston Tea Party Ships & Museum you can be a part of the famous event that forever changed the course of American history! 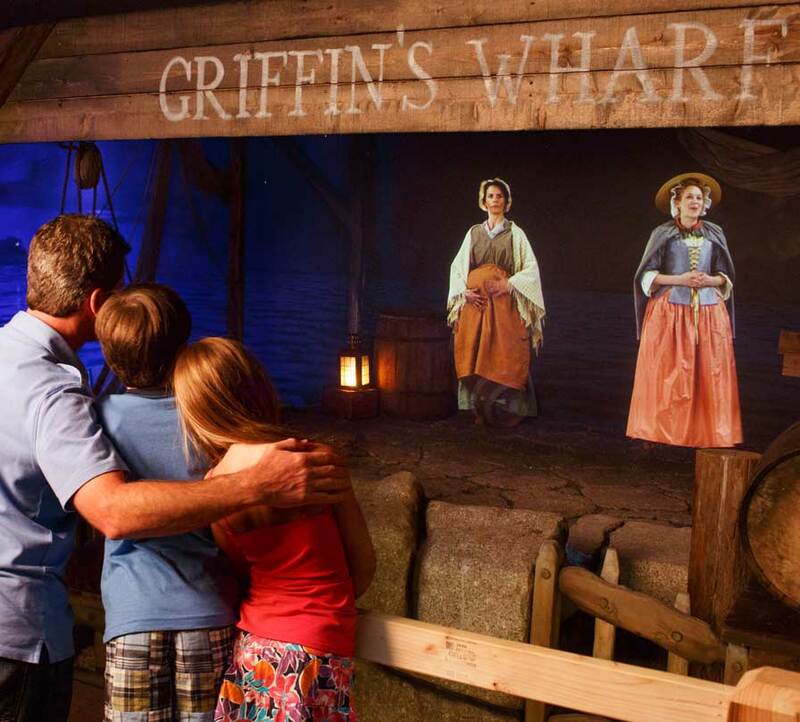 Historical interpreters, interactive exhibits, full-scale restored 18th Century sailing vessels, historic artifacts, and the award-winning multi-sensory documentary “Let It Begin Here” are just a taste of what you will experience during your visit. 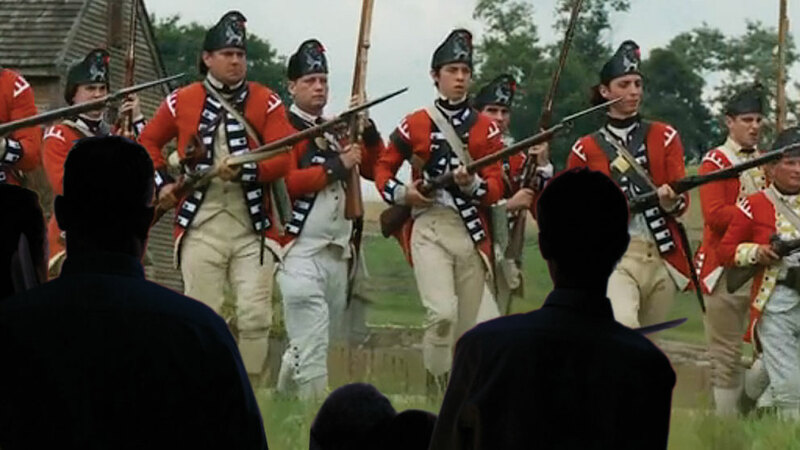 Meet the courageous men and women responsible for this historic act of defiance and learn what role you will play in "single most important event leading up to the American Revolution." 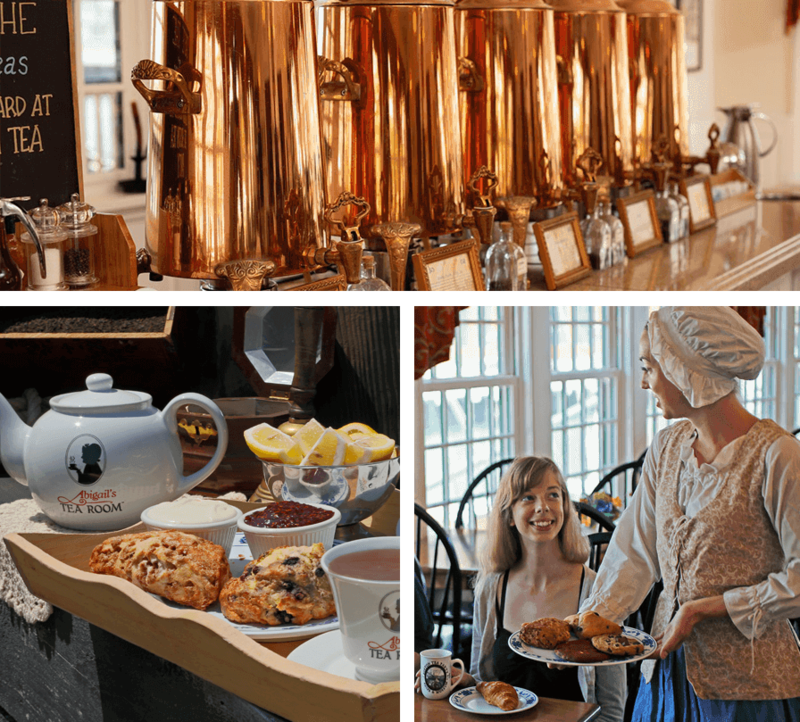 Complement your experience with Abigail's Tea Room, where you can enjoy freshly baked goods, savory lunch items, historically inspired spirits, and literally taste history by sampling the five teas thrown overboard at the Boston Tea Party! Each fully immersive tour will last approximately one hour and is a fully-guided experience throughout the ships & museum. 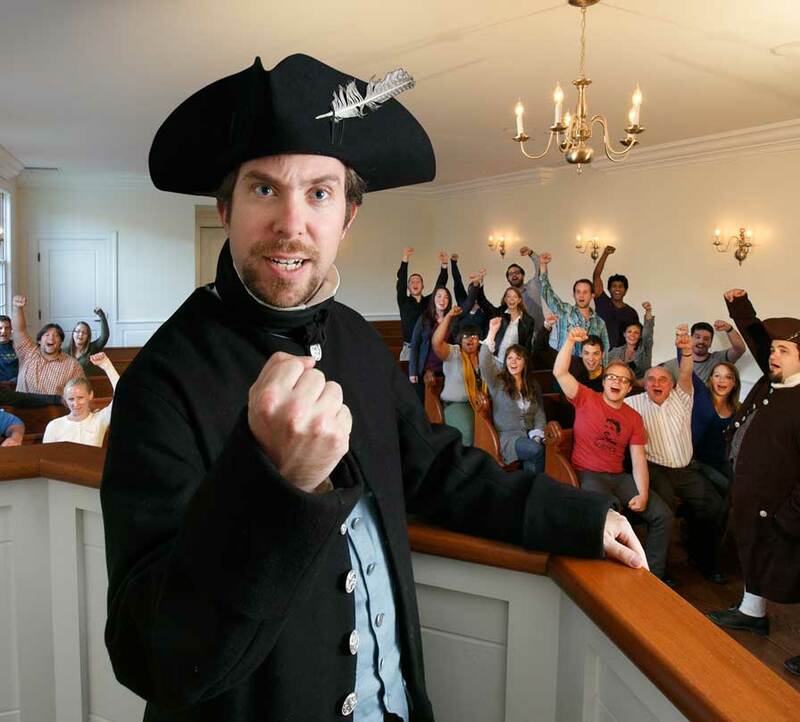 Your 18th Century Host will lead you through an interactive colonial town meeting, onto one of our ships to "dump the tea", and through the Boston museum experience as you discover what happened during the single most important event leading up to the American Revolution! Bring home a bit of history to remember your journey 1773. Our Boston museum gift shop includes an array of historically and nautically inspired gifts, keepsakes, books, games, toys, apparel and a large selection of assorted teas. 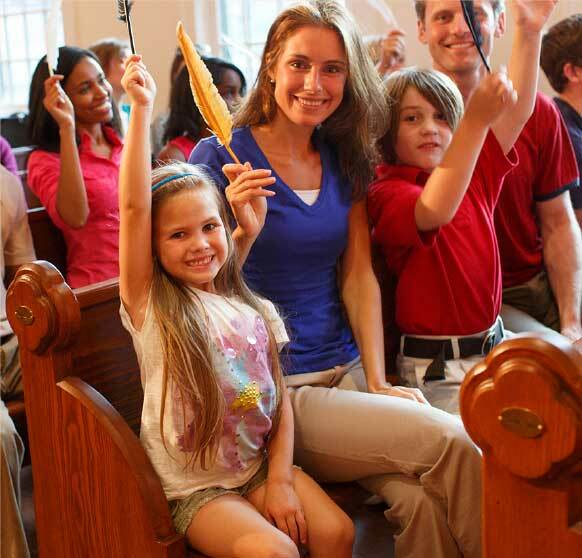 Join the Sons & Daughters of Liberty on a rendezvous with history! Enter the meeting house and step back in time to rebellious 1773 Boston! Meet Samuel Adams and your 18th Century Host! 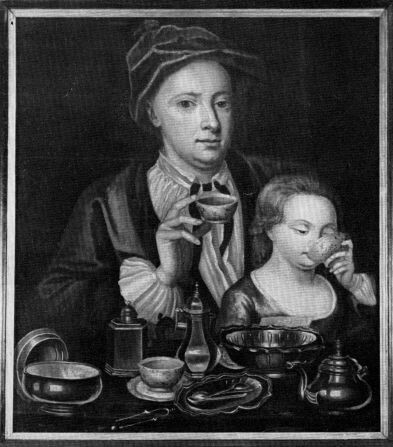 Receive your own souvenir symbolic “Mohawk” disguise and discover what part you will play in the Destruction of the Tea. 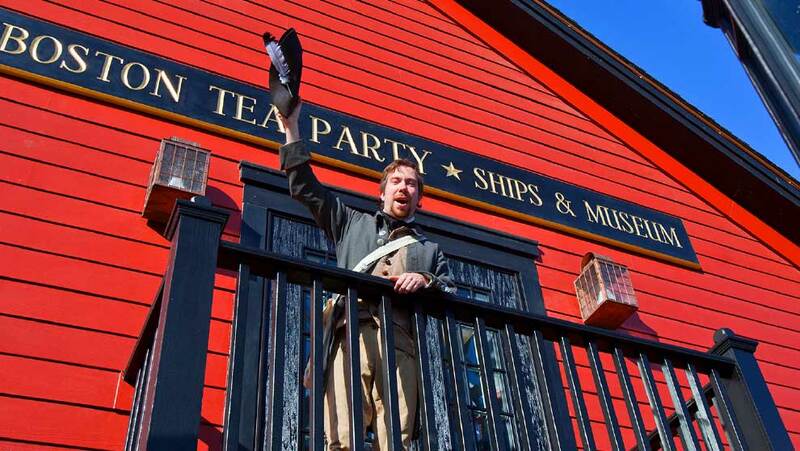 Hear and learn of the dramatic events that led to the Boston Tea Party as you participate in a colonial town meeting! Storm aboard one of our two Tea Ships, the brig Beaver or ship Eleanor, and join a Son of Liberty as you take part in the "Destruction of the Tea!" Throw tea into the very same body of water where the Boston Tea Party took place over 240 years ago. Experience life at sea aboard an 18th century merchant vessel as you take the helm, or go below to explore the crew’s quarters, cargo hold, and the Captain's cabin. The 18th Century meets cutting edge technology! Now that you have struck "The boldest stroke yet struck in America", find yourself on Griffin’s Wharf on the morning after the Boston Tea Party. 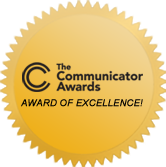 Experience the immediate debate firsthand and the potential ramifications for your bold actions! You will have to decide… are you a Patriot or Loyalist? The Tea Chest is one of the oldest Boston museum artifacts. 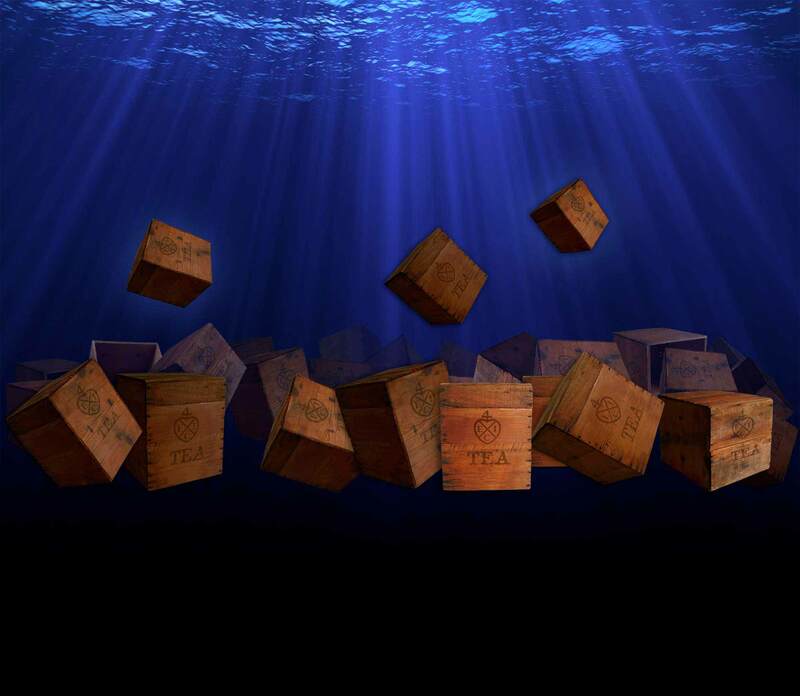 Protected and preserved for more than two centuries, the Robinson Tea Chest is the only known surviving tea chest from the Boston Tea Party in 1773. Hear the compelling history of this significant artifact. 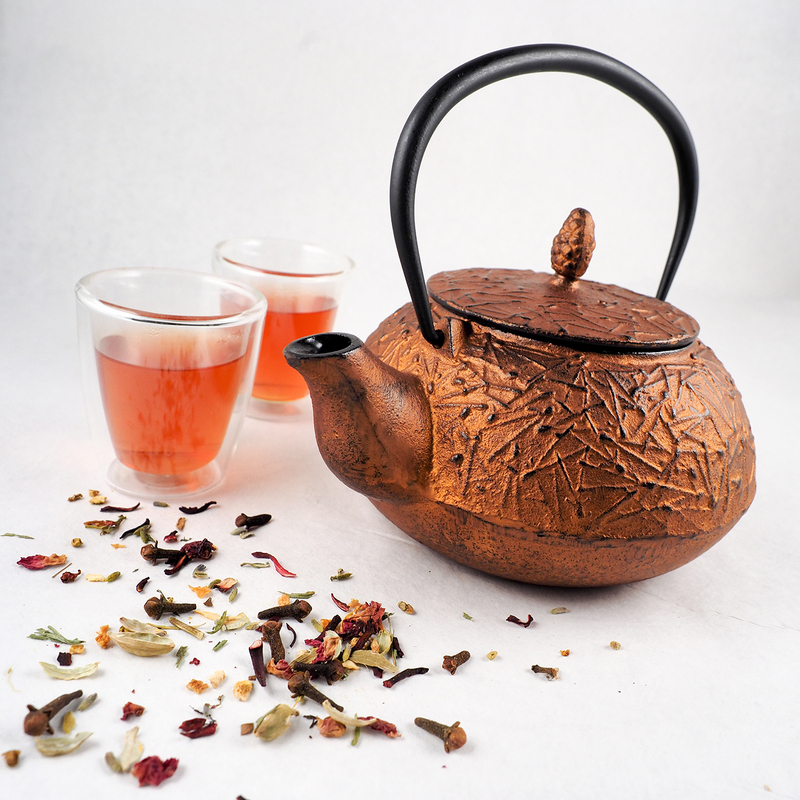 From its simple discovery the morning after the destruction of the tea, to its journey through the centuries as it was handed down from generation to generation. The Robinson Tea Chest serves as a reminder of the patriotism demonstrated that fateful night. May it continue as an inspiration for generations yet to come. The Robinson Tea Chest is proudly displayed at the Boston Tea Party Ships & Museum from the permanent collections of Historic Tours of America, Inc.
Click Here to learn the full story of the Robinson Tea Chest. 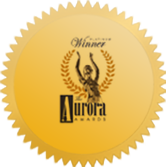 "Let it Begin Here" Winner of 11 Prestigious Awards! 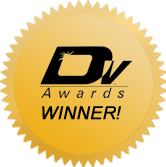 Immerse yourself in our Award Winning Multi-Sensory Film! 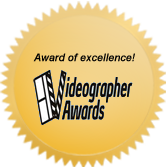 Our documentary film, “Let it Begin Here” dramatically depicts the events of April 19, 1775, of Paul Revere’s midnight ride and the beginning of the American Revolution. Barely 16 months after the tea was destroyed in Boston Harbor, two lanterns were hung in Old North Church, and men rallied on Lexington Green as the "shot heard 'round the world" was fired. 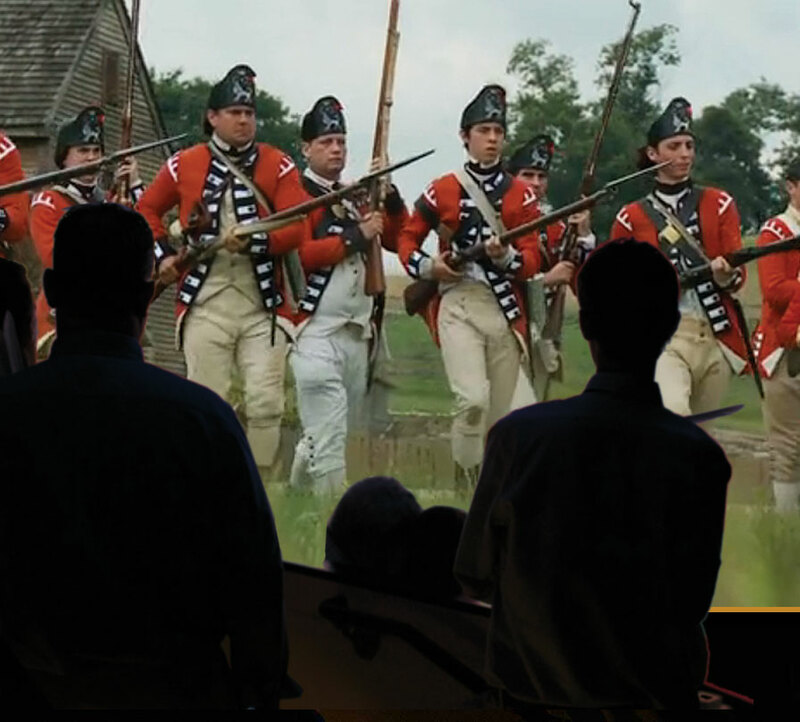 The theater’s panoramic movie screen places you in the middle of the battle action as you see, hear, and feel the sensations of horses galloping, soldiers marching and muskets firing. through the countryside. Join the ranks of the militiamen as they stand against the British Regulars. 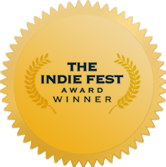 Click here to watch our behind the scenes look on the making of this award winning film. Your adventure isn’t complete without a spot of tea! The comfortable charm of another era, wonderful waterfront and skyline views, a friendly welcome from colonial tea ladies and reasonably priced menu choices make Abigail’s the perfect place to pause for a relaxing break. Sample up to five different teas with a historic twist, a glass of refreshing lemonade or cool iced tea, a mug of hot or cold apple cider, and hard-to-resist tasty treats: assorted scones, cookies, brownies, muffins and pies. Or, join us at lunch time for a variety of delicious sandwiches, salads, chowders, seasonal soups and mac ‘n cheese. Before placing your order, please inform your server if anyone in your party has a food allergy. Adults looking for a beverage a bit stronger than tea are pleased to see that Abigail’s serves beers from Boston’s own Harpoon Brewery as well as “Dark and Stormy’s” and red or white wines. 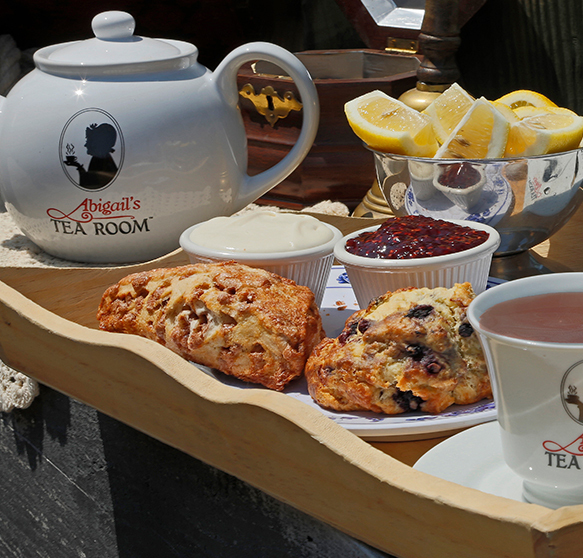 Sit back, relax, and enjoy the special ambiance of Abigail’s Tea Room & Terrace – it hits the spot!